Every year DigitalOcean creates a contest in October called Hacktoberfest where you can help open source and get a t-shirt for your efforts. All that's needed is to make five legitimate pull-requests (PR) on open source GitHub repos. Below is a [selfish] list of my projects (and ones I support) and how you can help, even if you don't code. I'm a DigitalOcean fan. I'm grateful they do this every year to help open source. I've used them for years because their servers and services are easy to use, inexpensive, and just work. 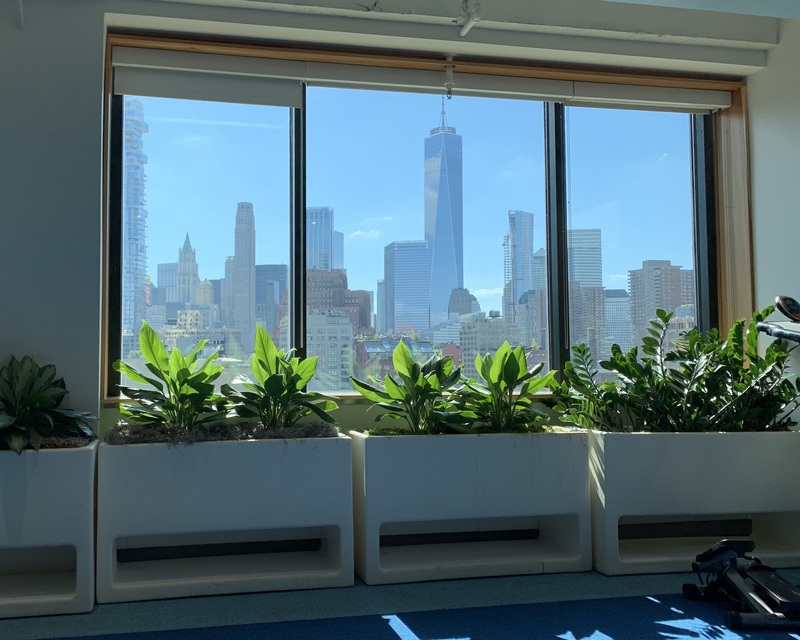 I recently got a tour of their headquarters in Manhattan where I got to chill out in comfy chairs while working and viewing the awesome cityscape. BONUS: If you'd like to try DigitalOcean, they are offering $100 in free hosting using my referral code, but only good for this month (October 2018), then it goes back to getting $10 free hosting. OK Bret, how can I help? Step 1: Go read the full rules and signup for Hacktoberfest by October 31st. Step 2: I've spent time making issues on the GitHub repos you may have used in my courses and tools I maintain for the community. Any PR that helps address those issues (or any other ideas you have that I sign off on in your PRs) will count toward your five PRs for the month. Browncoat: App for testing updates of your container services. I created it this year for my Swarm course, but would love more enhancements and examples, and of course, a Kubernetes equivalent testing guide. Stress: Orchestrator-compatible cpu and memory stress testing. I use this to ensure resource limits work and that my container setups work with reservations and limits properly. I would love more ideas on how to use this and also Kubernetes examples. Jekyll Dev Server: Used by many, this simple Jekyll container has a few GitHub issue ideas and could also use a note about how force_polling is used for Windows machines. Dog vs. Cat: My Swarm multi-node production example repo. It's only six months old but I reference it weekly when answering Swarm questions from students and places like Stack Overflow. Docker Node.js Good Defaults: This project example template is designed to help you setup the best config and workflow for developing and using Node.js with Docker. There's a good list of improvement ideas in there. Docker PHP Good Defaults: For PHP and Laravel developers, this is still a big work-in-progress that could use a lot of community help! I've worked on multiple big PHP projects that migrated to Docker and this is a lessons learned sample project like above, but it needs better documentation and cleanup too. Awesome Docker: a list of container tools, you could add ones that aren't listed or clean up old stuff. Docker Swarm Visualizer: Used heavily in my Swarm content, this Node.js app has lots of issues and room for improvement. netshoot: Single container image for troubleshooting inside a container, great for Docker, Swarm, and Kubernetes. Docker Docs: Did you know nearly all of Docker's documentation is easily PR'ed? Keep them focused on fixing one small thing. A PR can never be too small, but it can easily be too big to understand or get everyone to agree on for merging. If new to a project, maybe start a PR with a small change, and you can add new commits based on feedback to that same branch and GitHub will auto-update the PR. This saves you from putting effort into something the maintainer won't ever accept. Don't start a PR out of the blue without at least some issues indicating a fix is needed or the idea is something maintainers want. If you have a new idea, start it in GitHub Issues and then create a small PR after you get some thumbs up. If you think it fixes an issue, say the magic words in title or description so it's auto-closed when they accept the PR. (now you'll be looking like a pro!). Happy PR'ing and Happy Halloween!